Recent reports state that 84% of companies are transforming or plan to transform their HR approach soon. Not surprisingly, the cloud is on many of these organizations’ radars. However, before making the leap to the cloud, it is crucial to do your research. 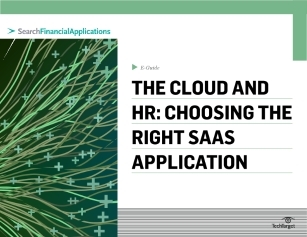 This expert e-guide from SearchFinancialApplications.com outlines four questions to ask potential service providers before signing an HR SaaS contract. In addition, uncover the top five HR technology trends for 2013 that you should keep an eye out for.